OTTAWA, Ontario — The Canadian Supreme Court unanimously ruled on Friday that a law providing criminal penalties for those who take part in ending the life of another should be amended to allow “limited exceptions” for physician assisted suicide. 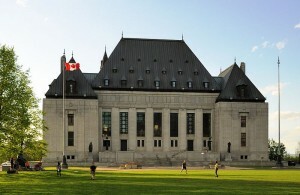 As previously reported, the court had been considering an appeal of a ruling from the British Columbia Court of Appeals, which overturned a lower court ruling allowing the practice of euthanasia. Gloria Taylor, a woman who suffered from ALS and has since died from an infection, was a co-complainant in the suit, asserting that laws against assisted suicide violated her rights, and were discriminatory toward those who were disabled. “Every one who … aids or abets a person to commit suicide, whether suicide ensues or not, is guilty of an indictable offence and liable to imprisonment for a term not exceeding fourteen years,” the Criminal Code of Canada reads. The court was to rule on whether or not the statute applied to physician assisted suicide. On Friday, it concluded that some adults with terminal and “intolerable” conditions should be allowed to request assistance from their doctors in ending their lives. ​”An individual’s choice about the end of her life is entitled to respect,” it stated. However, the court also ruled that doctors cannot be forced to participate in a patient’s death. The court then gave lawmakers one year to make adjustments to the current law to create certain allowances for physician assisted suicide. MP Steven Fletcher, who advocates for the practice, said that he believes specific language is necessary in order not to create a slippery slope. But others expressed disappointment in the ruling altogether. The Institute of Marriage and Family said in a statement that it believed the court was paving the way for “suicide creep” in Canada. Physician assisted suicide is currently legal in five states in America: Oregon, Washington, Montana, New Jersey and Vermont.